This is a preview of our eBook, The Ultimate Guide to NetSuite Integrations and Automations. Get it for free here. NetSuite represents a huge step forward for the enterprise resource planning (ERP) product space. Traditionally, ERP software was on-prem and rather complex, but today more and more businesses are making the jump to cloud-based software. From 2015 to 2016, adoption of cloud-based ERP software jumped from 11% to 27%—and that figure only continues to grow. With cloud adoption continuing to skyrocket, NetSuite represents the best of modern software: cloud-based and comparatively easy for lines-of-business users to learn. Because it’s more accessible than older systems, NetSuite can lead to lots of cost savings. And, when used correctly, it can also pave the way for your business to be a quicker, more agile organization. 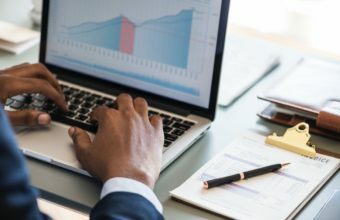 The easiest way to increase your NetSuite ROI is by connecting it with your other cloud apps through intelligent automation. Automated workflows can eliminate manual work, improve your data quality, and give you real-time access to a 360° view of your customers and business. Here at Workato, we’re proud to support a wide range of apps and agile workflows, so if you need to incorporate extra steps, we can help you do it! One of the best ways to round out an automated workflow is by incorporating a chat app like Slack. Here are two innovative ways to get started with Slack-NetSuite integration! 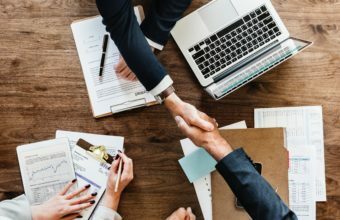 One of the most common NetSuite integrations is connecting it to Salesforce. To make these workflows even more powerful, you can incorporate Workbot for Slack, a bot we designed to allow you to do work in other cloud apps directly from Slack. With Workbot, you can work with records in NetSuite or Salesforce without ever leaving the chat console. For example, you can get notifications in a specific Slack channel every time an order processes in NetSuite. Or, if you want a notification whenever a payment has not been completed in NetSuite, Workato can look up who the account rep is for that customer inside of Salesforce and send the notification to the specific account rep to let them know there is an outstanding payment. You can use also use Workbot to orchestrate any approvals that normally are performed in NetSuite directly from Slack. Armed with our proprietary technology called Verified User Access, Workbot is the only bot that can securely perform approval workflows in Slack. What is Verified User Access? Verified User Access is a first-of-its-kind patented feature developed by Workato that allows Workbot to verify users in Slack before allowing them to take actions, subsequently correctly attributing the user taking the action inside of business apps. For example, you can approve or reject new orders; you can approve or reject refund requests, or you could mark items fulfilled from Slack. Verified User Access ensures that only people who are authorized to make these approvals are able to do so in Slack by asking them to authenticate with their NetSuite login the first time they try to take action. Even more uniquely, you can execute Salesforce approvals directly from Slack, and Workato will update the information in Salesforce and NetSuite as appropriate. This workflow is especially helpful if different teams within your organization use different systems of record because it ensures that information is automatically—and accurately!—updated in each app. If you’ve already connected NetSuite with your other cloud apps, adding Slack to the workflow is an easy way to boost your productivity! These examples aren’t the limit of what’s possible with Workato; we have over 100,000 pre-built integrations to choose from, so the sky is truly the limit! Want more ways you can get the most out of NetSuite?